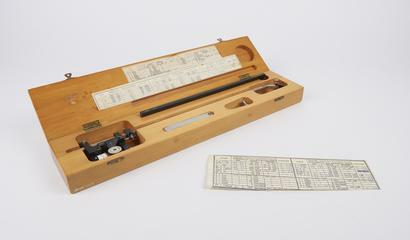 Allbrit square root radial planimeter with pivot bolt for measuring charts from Ranarex carbon dioxide recorder, model U2339A, in wood and felt lined case by Stanley, London, with serial number 104. 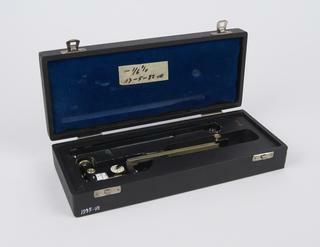 Ten test bars for use with the Allbrit (fixed-arm) compensating polar planimeters by W. F. Stanley & Co. Ltd.
Planimeter, instrument used to measure area or capacity, Goodman's Patent, made by Jackson Bros. Ltd., Leeds, in velvet lined carrying case. 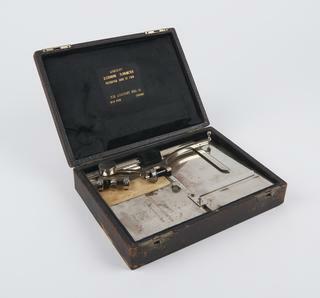 Box containing three identical weighted arms for Allbrit compensating polar planimeters by Stanley, London, Serial numbers 35366, 35382 & 35391. 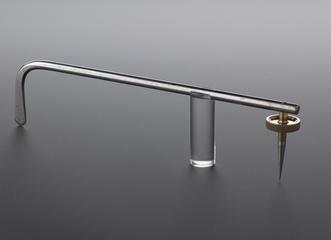 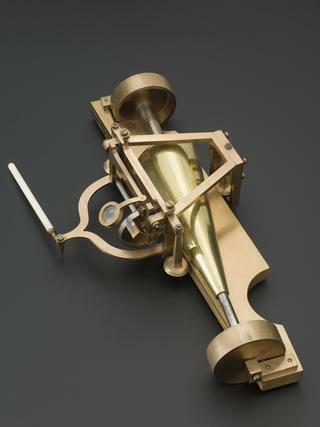 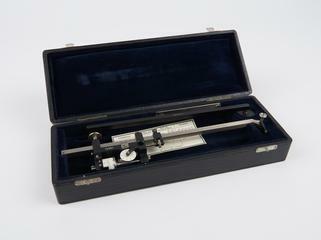 Wetli planimeter, in case, date about 1860; engraved "Patent Von Wetli & Starke No. 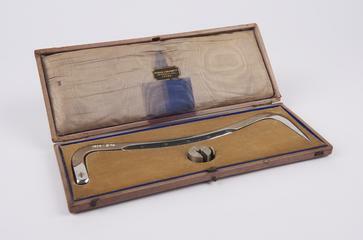 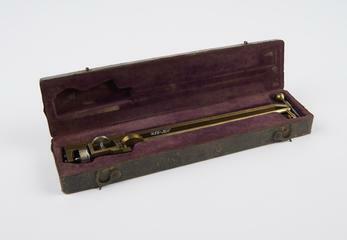 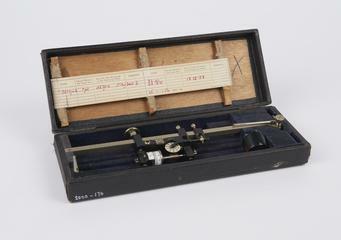 103"
Fixed scale polar planimeter, in case marked "Yeates & Son, Opticians to the University, Dublin"
Planimeter in case, presented to Col Mervyn O'Gorman, Superintendant of the Royal Aircraft Factory 1909-1916, memorabilia. 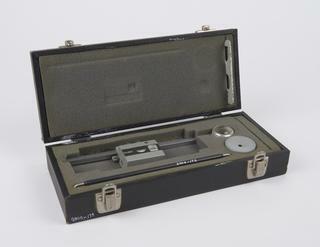 Amsler integrating planimeter of large size, in case with accessories and with straight edge in separate case, and with Booklet of Instructions. 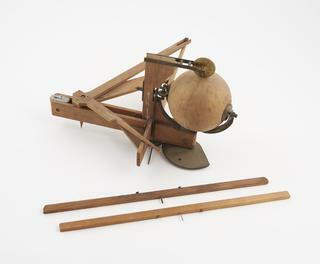 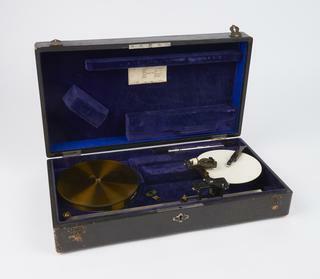 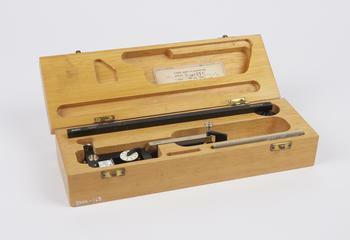 Prototype model integraph with wooden case by Stanley, London. 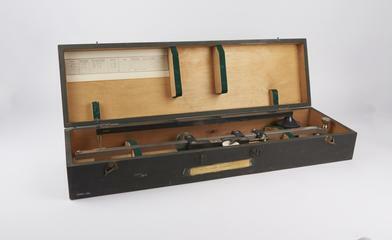 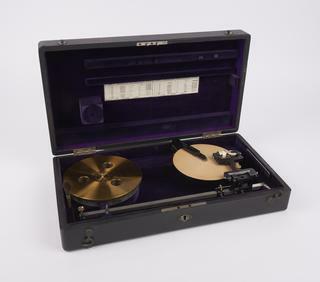 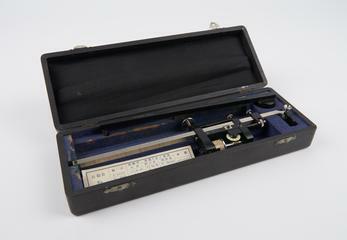 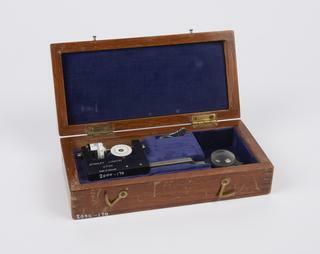 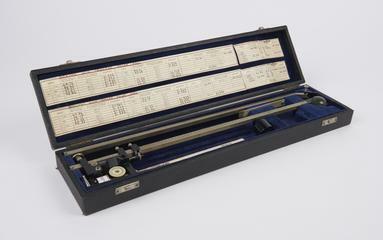 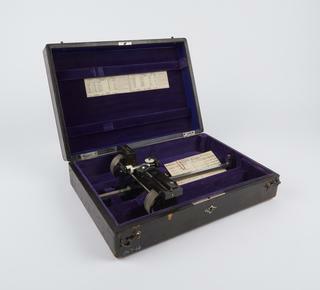 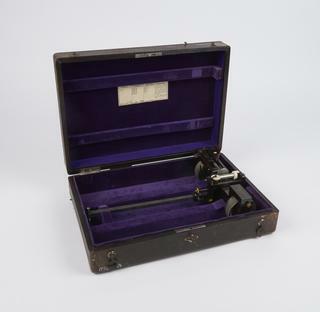 Allbrit radial planimeter for chart measuring with pivot bolt and magnifier in felt lined wood and paper case by Stanley, London, model A8401 calibrated for Imperial Measure with serial number 25342. 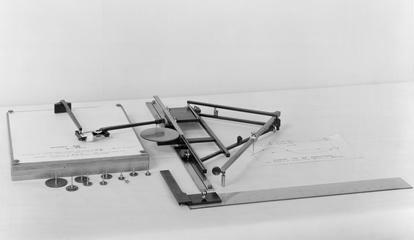 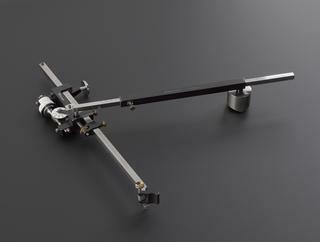 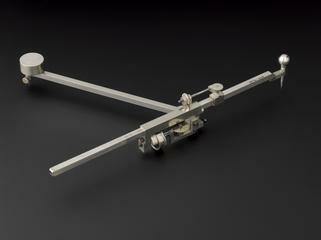 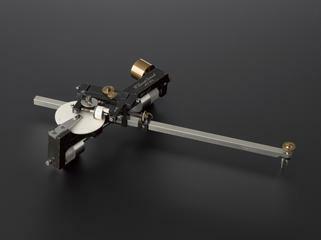 Prototype Allbrit linear arm for a continuous chart planimeter [model A8350] by Stanley, London, with lamp and optical encoder readout next to the normal scales. 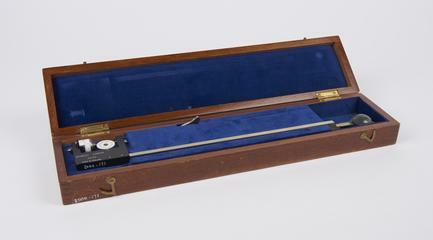 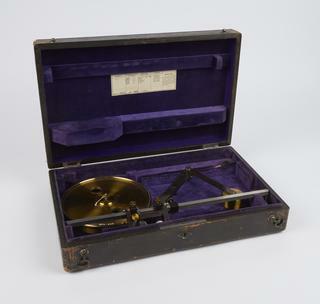 Planimeter, for use with steam engine indicator output recording graphs, in fitted velvet lined leatherette case, by the American Steam Gauge and Valve Manufacturing Co., Boston, USA, c. 1890. 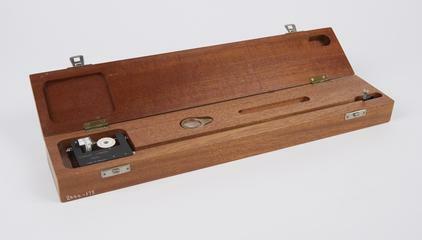 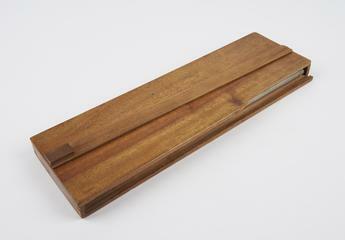 Parts of an Allbrit Polar Co-ordinate Plotter (U.2352) in mahogany case by Stanley, London. 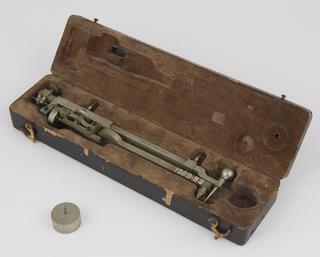 Planimeter used at RAE in padded cell. 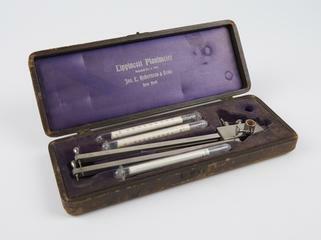 memorabilia.